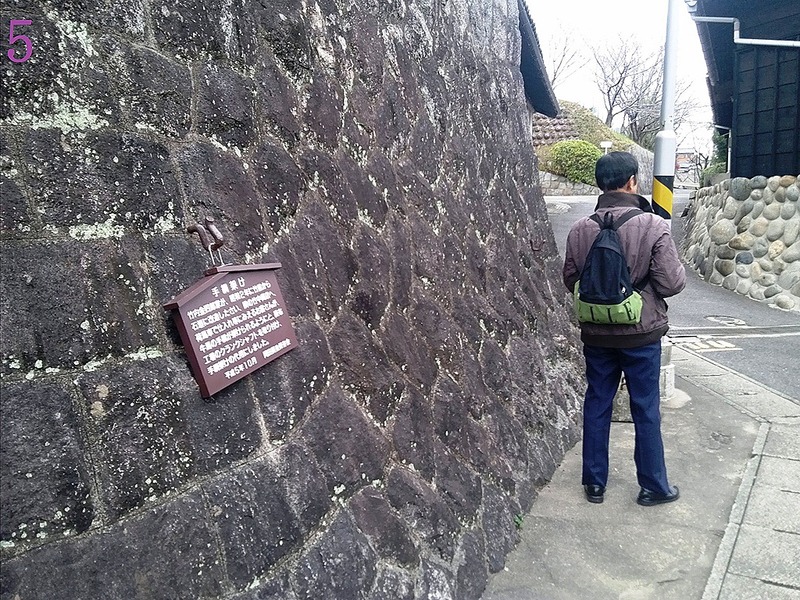 Utsumi and Handa in Chita Peninsula: Local history explorations are very interesting! “I’m here because of this!” Satsuki said that and sipped sake or Japanese rice wine, and then smiled. “Wow! You were the first to get sake!” Ms. Kato said and rolled her eyes. The tour participants (I took part in a tour around Chita Peninsula in Aichi Prefecture on December 2nd. 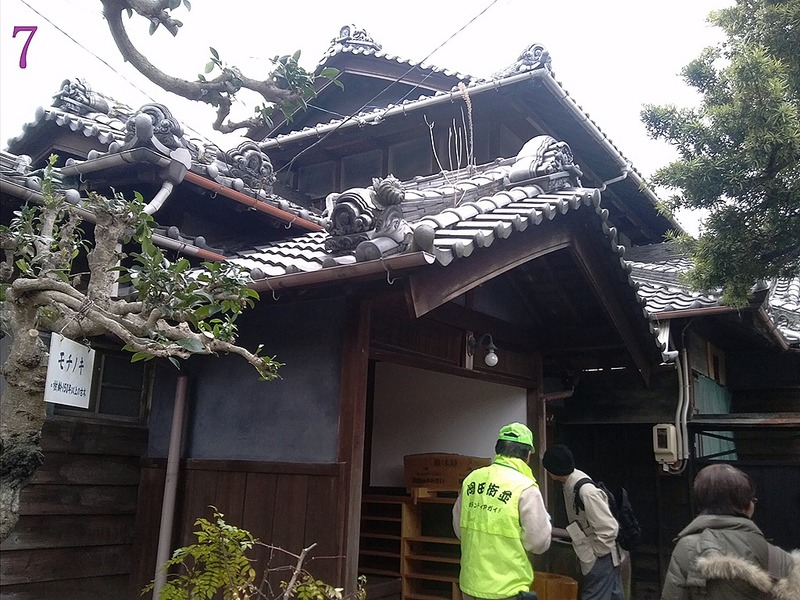 First we visited a small village called Okada. 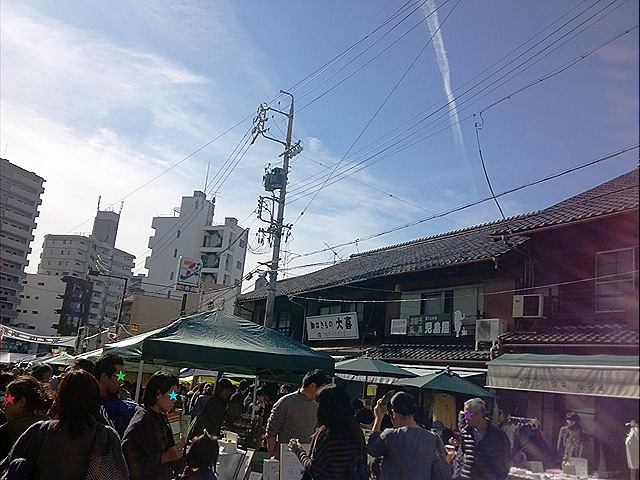 I wrote about it here: http://wp.me/p16bjt-t3 ) left Okada and headed for Utsumi. 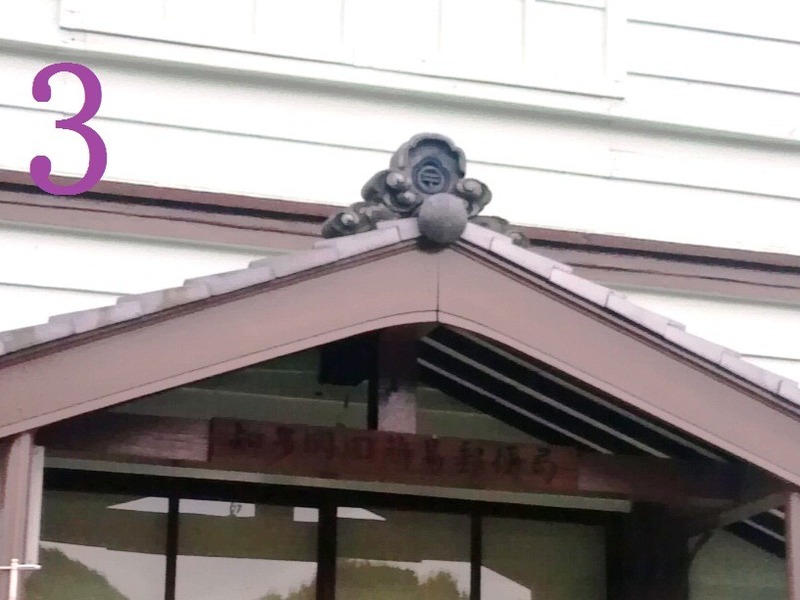 Before arriving, we dropped into a restaurant named Morita Aji-no-yakata in Tokoname to have lunch. 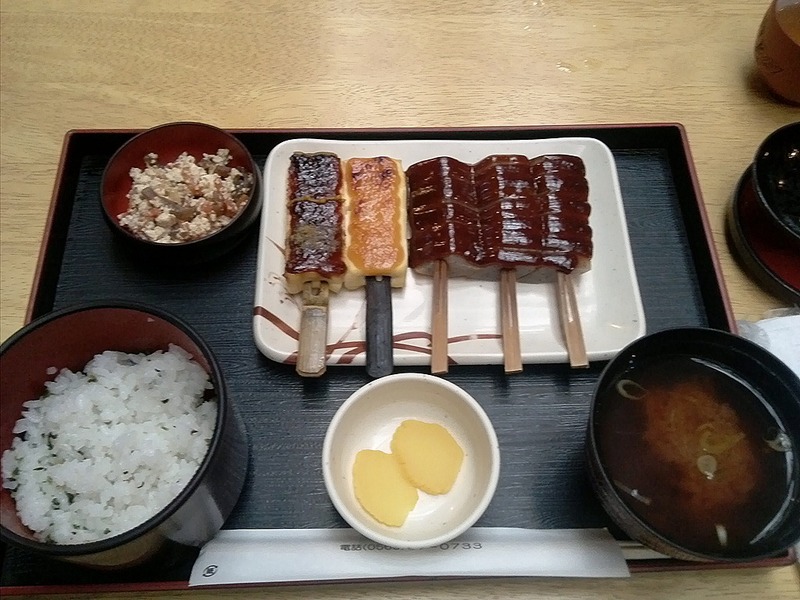 We ate “miso-dengaku”, which is grilled tofu and konjac with soy beans paste for lunch at the restaurant. That was excellent! You can taste some kinds of sake for free as many times as you like. Many of the tour participants enjoyed tasting sake. 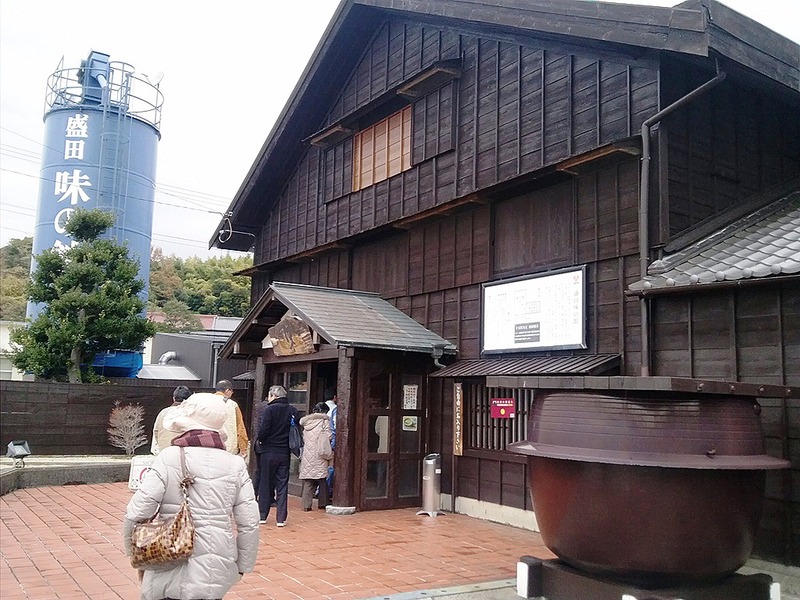 Morita Aji-no-yakata, the restaurant, is converted from an old factory fermenting soy beans, run by Morita. Co. Ltd. (Miso and sake maker). 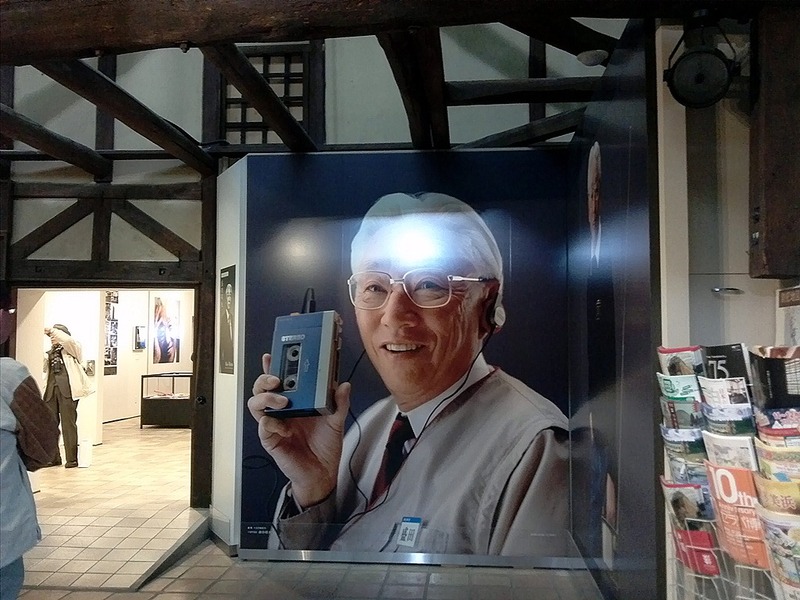 Its 15th head was Akio Morita, who was one of the founders of Sony Corporation. That is why there is an exhibition room of his works in the restaurant. Being cheerful mood with drink and a sense of satiety, we got into our chartered bus again and set to Utsumi, which is well-known for its basing beach that attracts many people in summer. 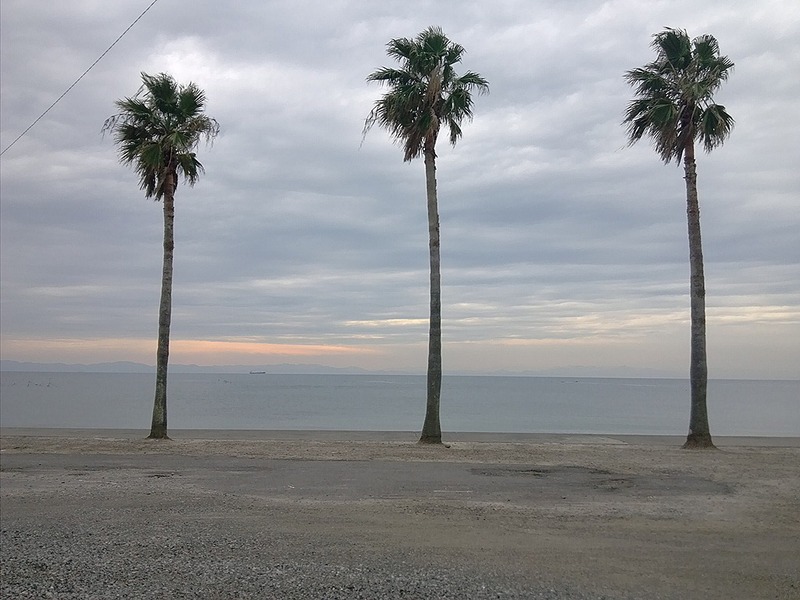 But it was very cold that day in December, and there was no one at the beach facing gray water. 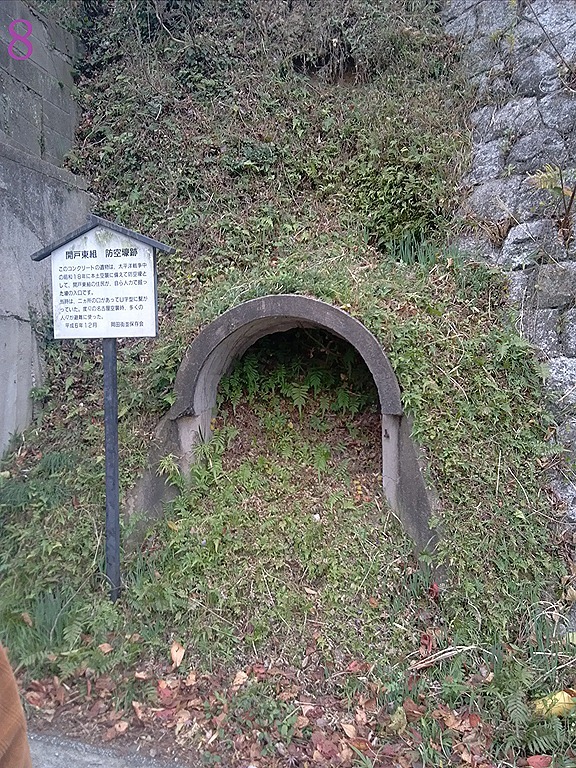 There are the remains of the old resident of the Uchida near Utsumi beach. The Utsumi family used to flourish as a shipping agent in the 19th Century. Their cargo vessels not only carried merchants’ good such as rice and salt but also bought out those goods and turned them over for higher prices. Therefore the Uchida family generated enormous money. However Japan’s level of maritime engineering was quite low in the period and their vessels were wrecked at a rate of 30 %. 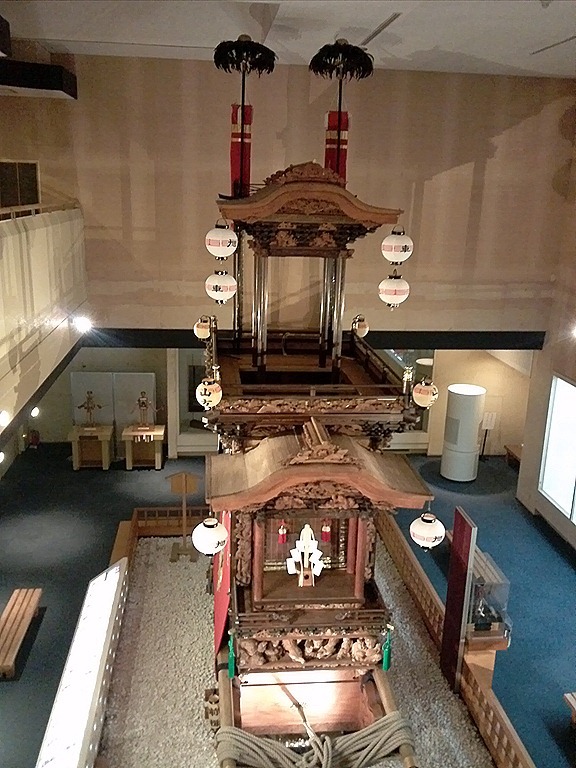 Hence the Uchida had home shrines of seven different gods. 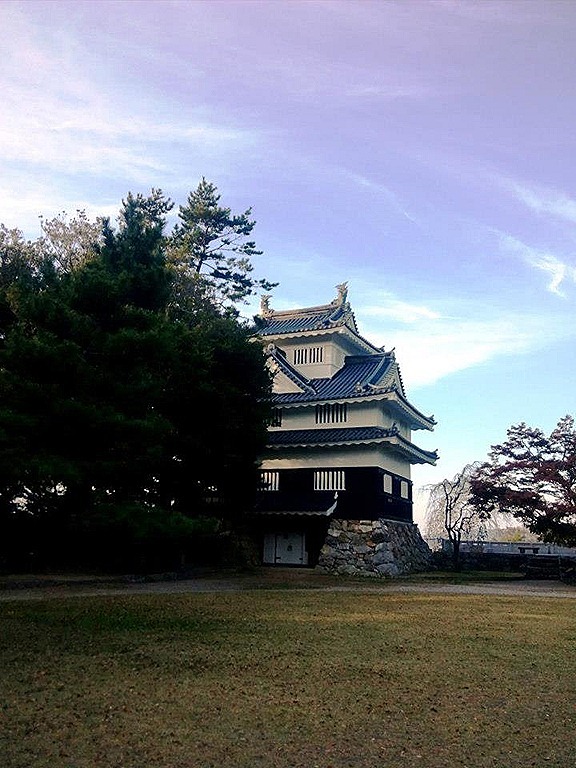 The Uchida became richer for the lives of crews than samurai warriors in the area. They had money but were inferior to samurai. They could have bought anything they wanted, but they couldn’t have. 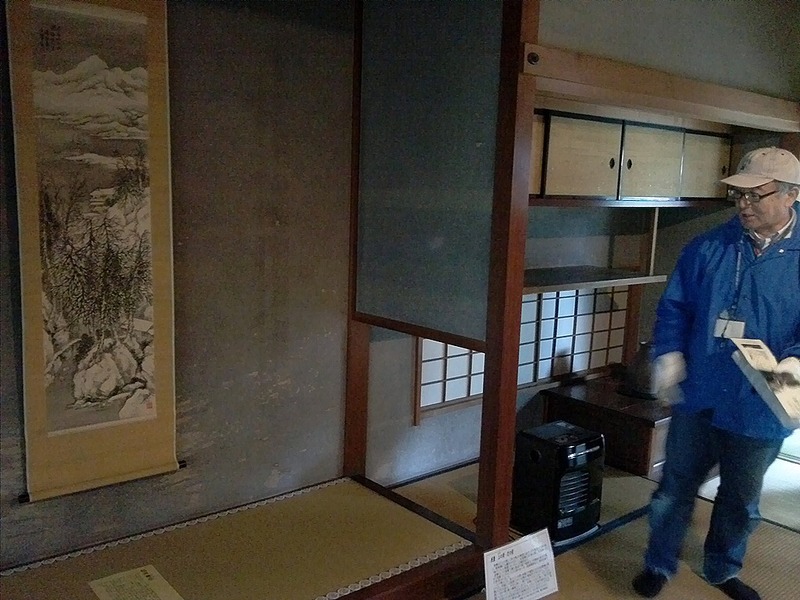 For example, they had to give up having intricate interior décor or a tea-ceremony house. Those things were for the status of samurai bladesmen, and banned for merchants to have them. But the Uchida wanted those items. 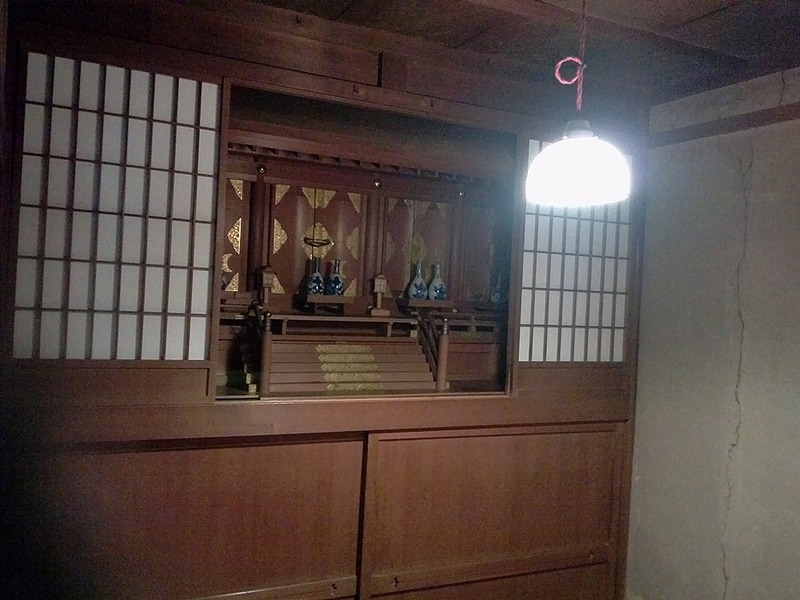 Therefore they made a hidden room for tea ceremony. 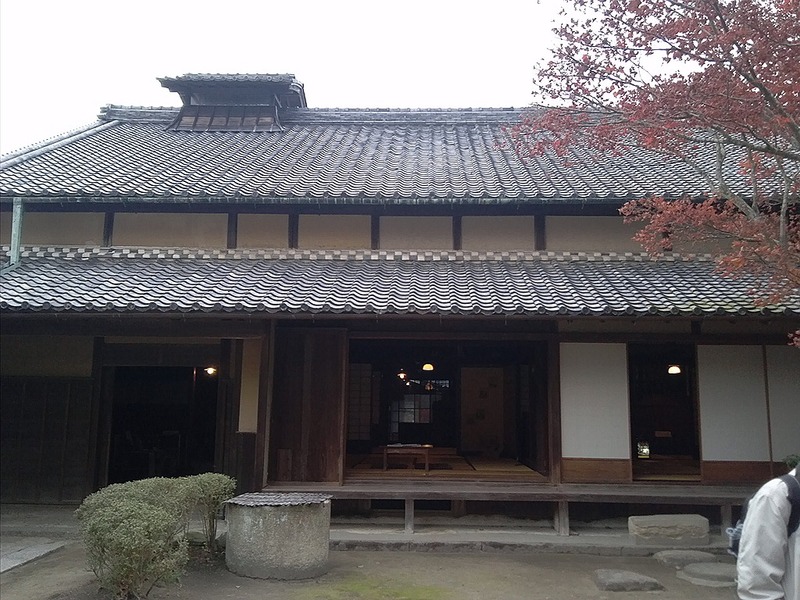 It is not a tea-ceremony house or room, but you can see it in the glance. They hid the room tactfully from samurai. Moreover, they could not have elaborate transom windows but used first-class wood for their interior. That is interesting because of showing one of the circumstances of the class society in the Edo period. 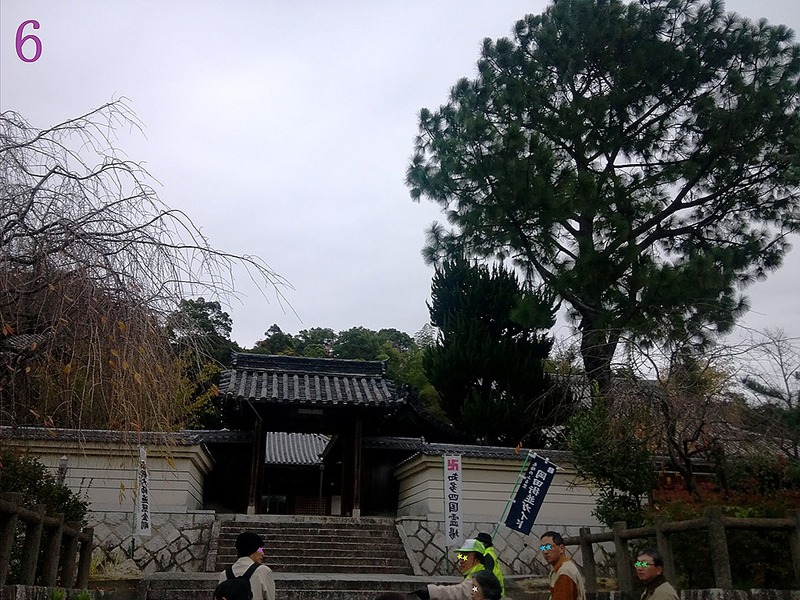 There is a temple named Jiko-ji near the old house. 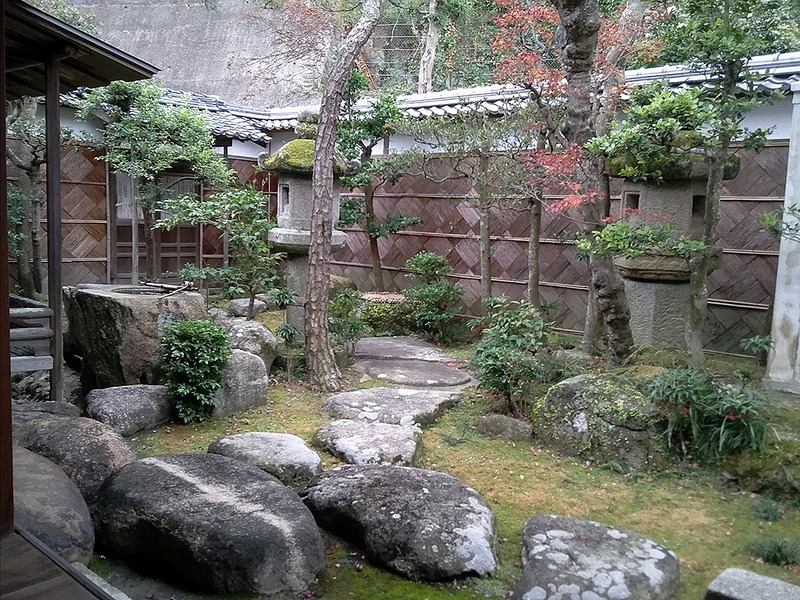 It has a stone statue of Buddha and is called “Ago-nashi-jizo”. 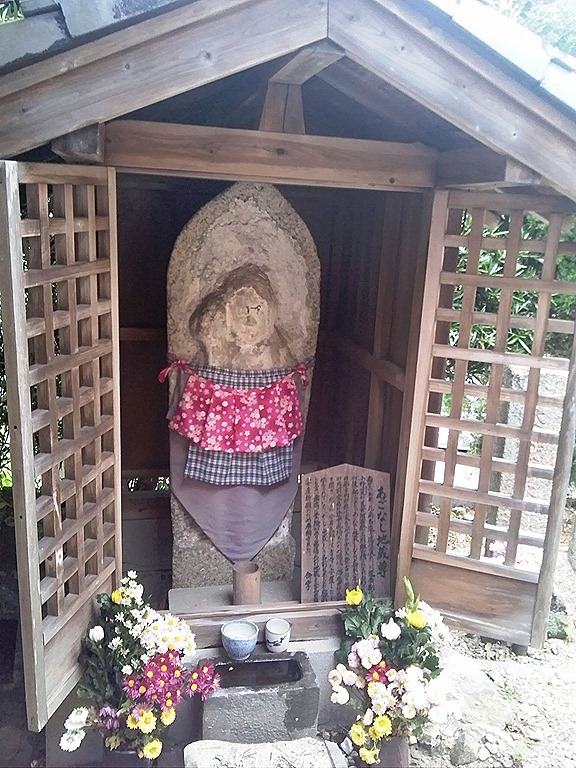 “Ago-nashi-jizo” means literarily a Buddha’s image without chin. People believe the statue has a power stopping toothache because it has no chin. 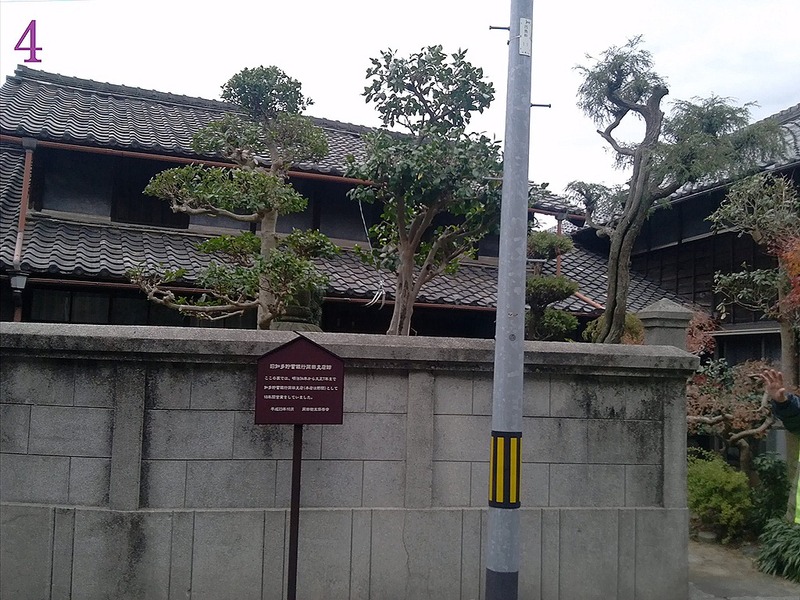 After visiting the old temple, we went to Handa Museum in Handa City. Some guides of Chita Peninsula Systematized Goodwill Guide Club explained in English at the museum. Handa is famous for a festival of dashi floats. The 31 floats which are over 7 meters high with highly decorations march around the town once in five years. Next festival is in October, 2017. I would like to watch the spectacle show! The tour was very interesting because I was able to find many new things through the event. Japan has many traditional and historical things, and I know little about them. I would like to discover those things and to introduce them here. 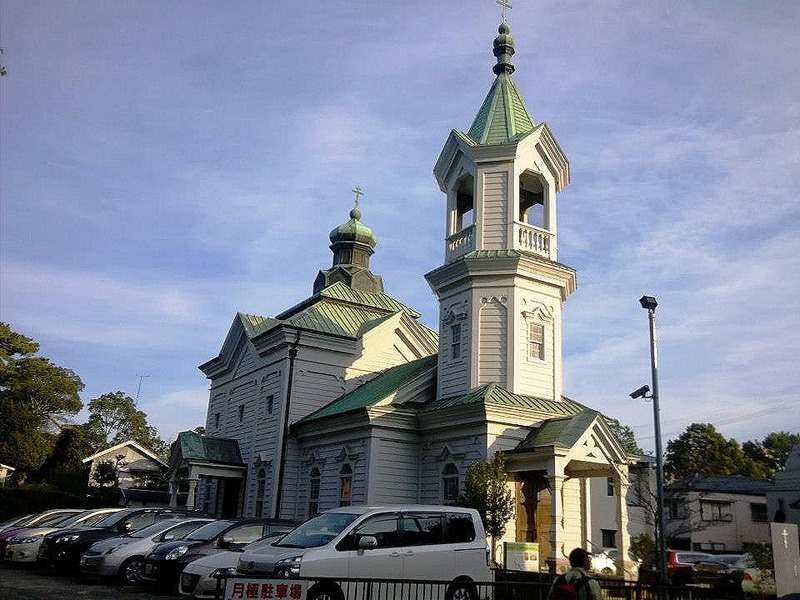 Okada in Chita Peninsula: Sakichi Toyoda might have been a corporate spy! 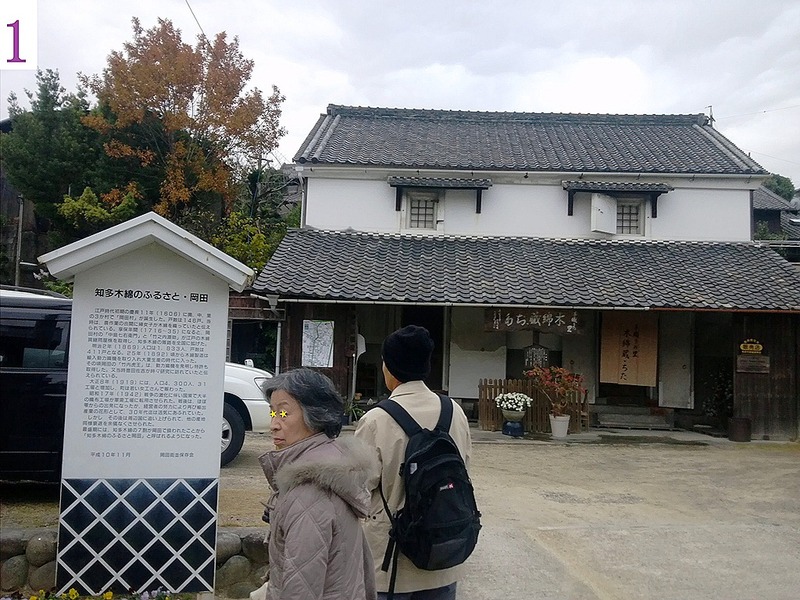 “Sakichi stole the idea for the invention of the automatic loom from Toraoh!” The guide said that passionately…I was in a small village named Okada, Chita Peninsula in Aichi Prefecture with AGGN members. 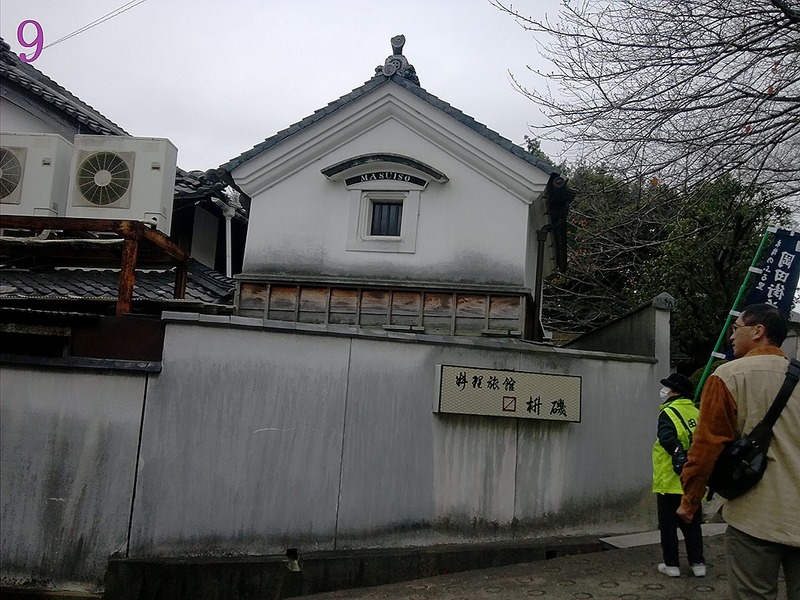 AGGN (Aichi Goodwill Guides Network) hosted the tour around Chita Peninsula on December 2nd, and I joined it. 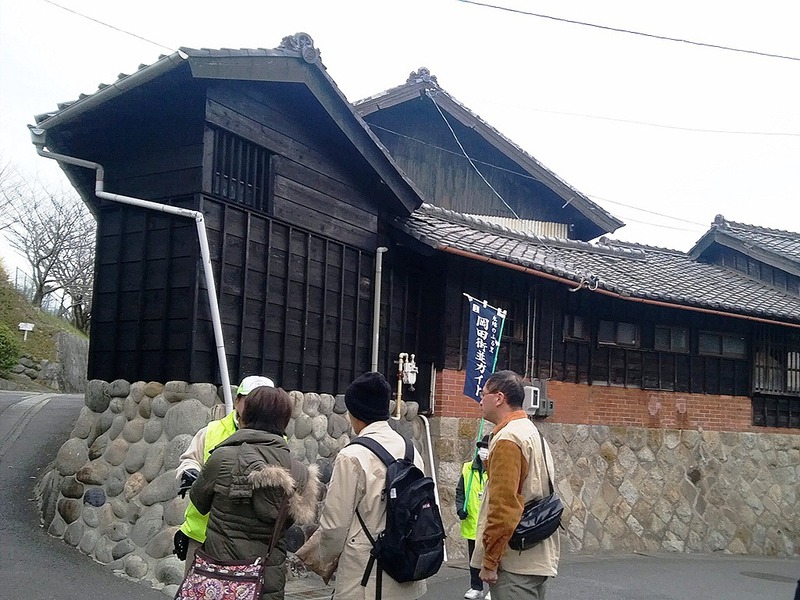 The participants were divided into three groups and were walking around the village of Okada with some local guides. Sakichi means Sakichi Toyoda, the founder of Toyota Industries Co. Ltd, known as the inventor of the automatic loom. 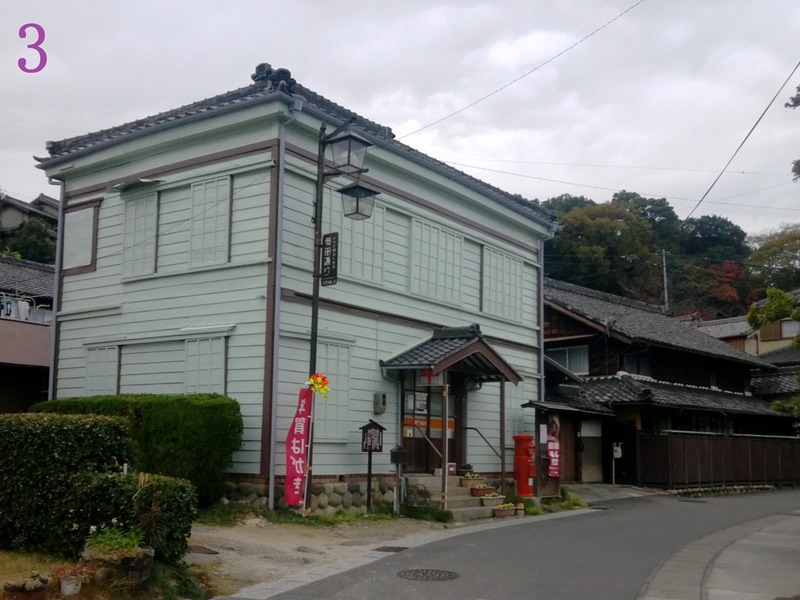 According to the guide, Sakichi stayed in the village as a carpenter in 1889, and learned everything he needed for the invention of the power loom from Toraoh Takeuchi, who was an entrepreneur in Okada. Actually, by when Sakichi visited Okada, Toraoh had already invented an automatic loom. Sakichi came to the place because he got the information somewhere. Unfortunately, Toraoh had not taken a patent for his invention. Sakichi had his power loom patented in first in 1891 and was given a title of “King of Japanese Inventors”. Okada used to flourish until Showa 30s (1950s) from the Edo period (1603-1869) as a leading producer of cotton textile, but now it is all gone to pot. The village has left behind the 21st Century, but because of that, it has remains of old houses along the street and is a good place for ramblers. One hour was too short! There are many interesting things in Okada. I would like to visit again in spring when cherry blossoms are in full bloom. The village must be beautiful! Actually the tour was not over there. 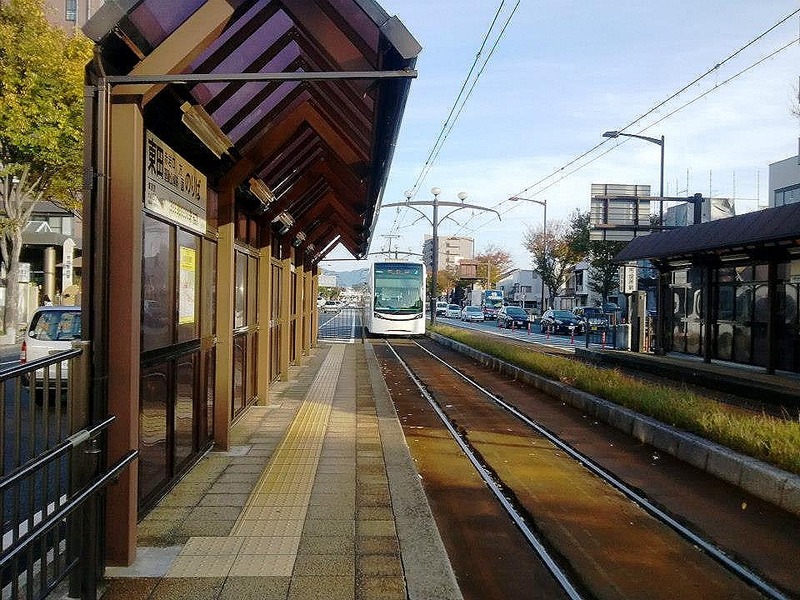 The participants left Okada and headed for another place called Utsumi by a chartered bus. I’m going to write about it next time. 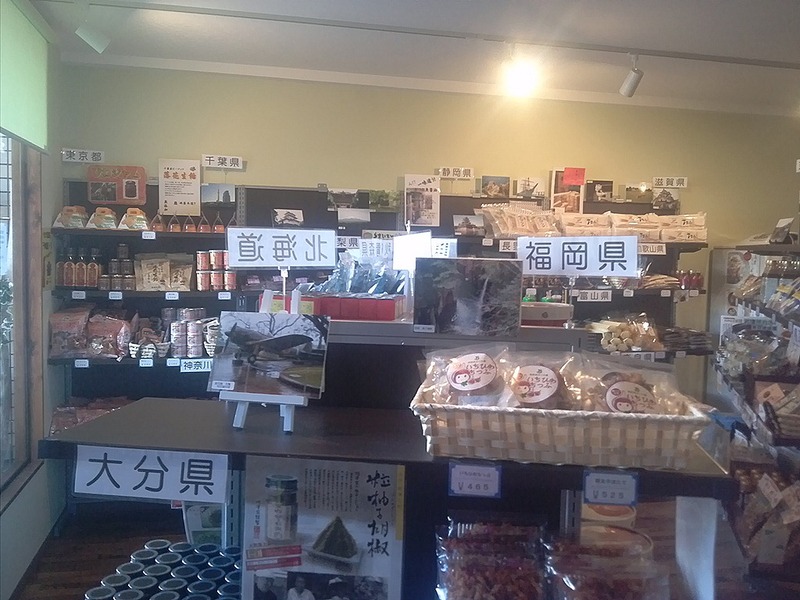 Japan’s Local Foods Specialty Store: Adventures by the name of "Retreat"
“The shop owner has gathered what he likes through traveling across Japan. Why don’t you drop by our specialty store?” I found an interesting-looking insert in the newspaper and went to the shop “Retreat” on December 1st. 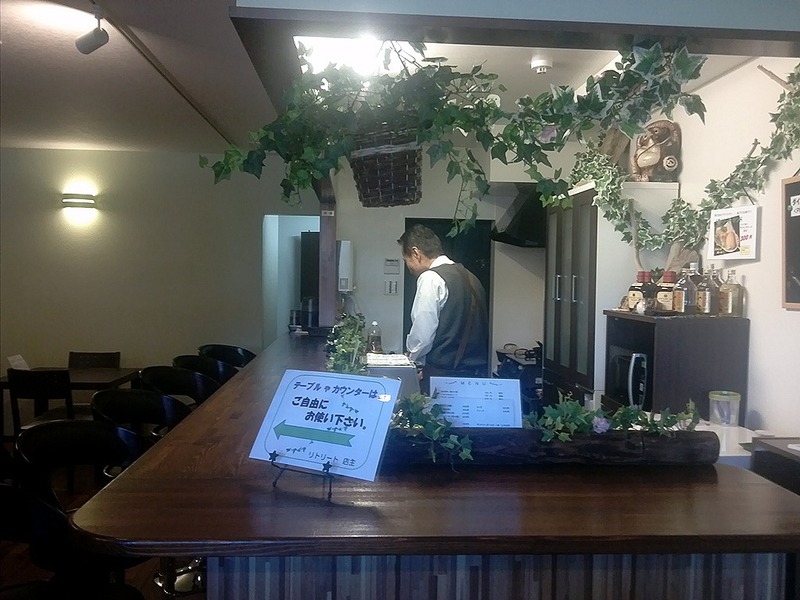 “Retreat” is located near Shiogama-guchi in Tempaku-ku, next to a Komeda coffee shop on the first floor of an apartment building. You might pass without noticing the existence because it is very small and indistinctive. 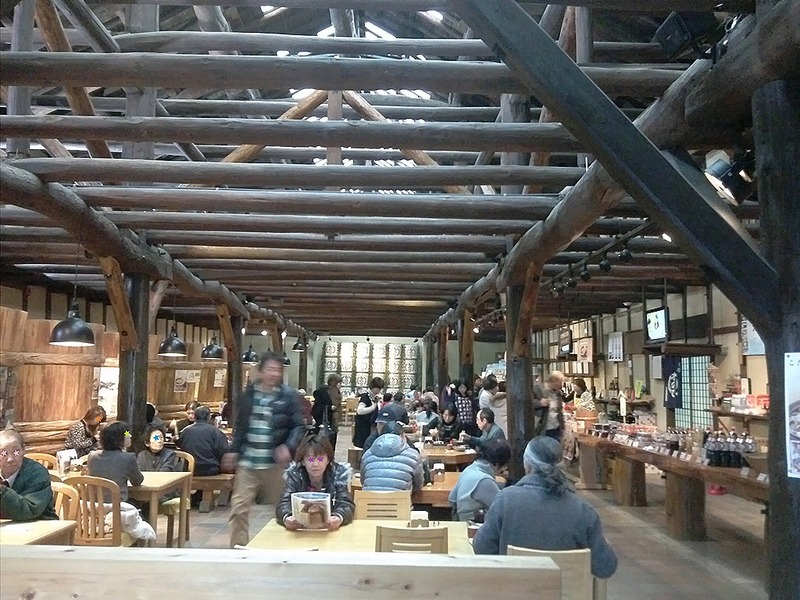 The landmark is the Komeda coffee shop next door. If you find the café and see the name board saying “Retreat” at the next-door shop, yes, you can enter the specialty store. 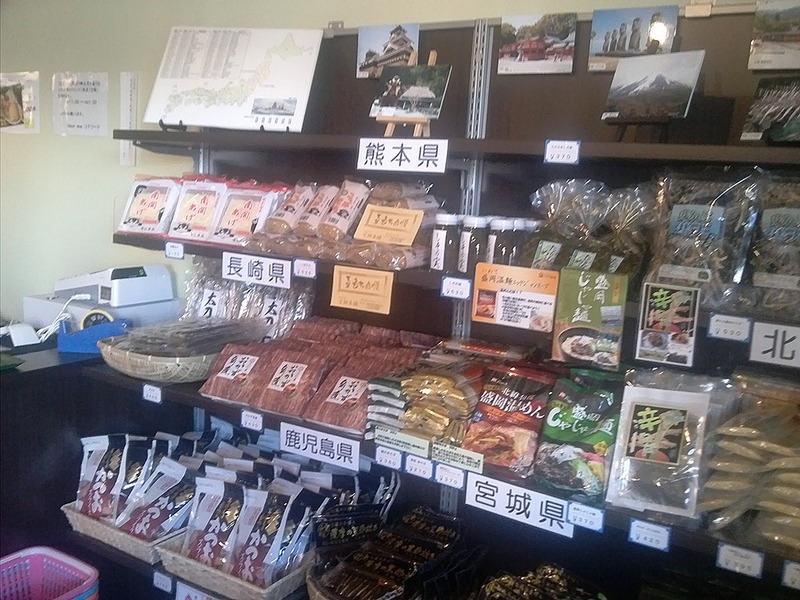 Entering the shop, you will be welcomed by many local foods from all over Japan. 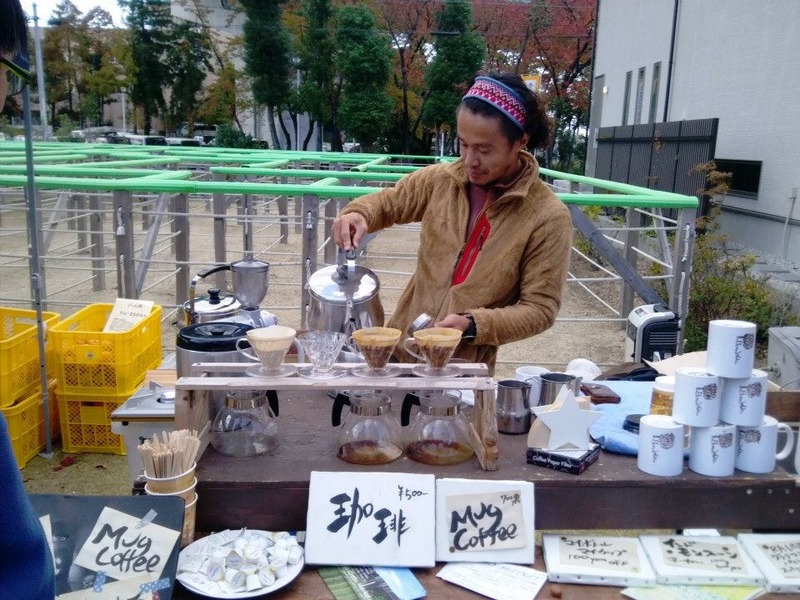 The owner has traveled throughout Japan and purchased only foods he liked during the journeys from Hokkaido in the north and to Kyushu in the south. 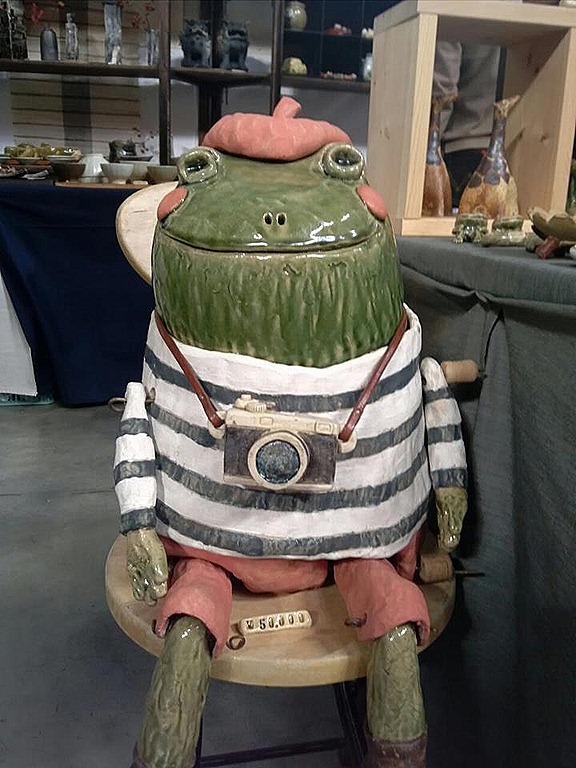 There are not only merchandise but photos the owner has taken in his travels on the shelves. I felt like I was traveling while being in the store. The owner and the staffers are very friendly. I enjoyed talking with them. 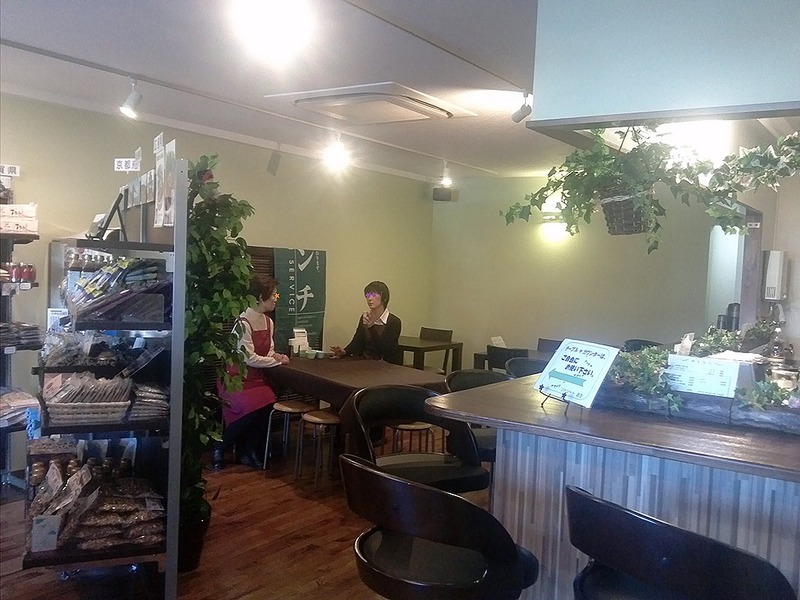 You can try some foods in the shop and have some coffee or tea. The owner told me when I visited that he was going to start lunch service soon. So many people must enjoy having lunch and talking to those cheerful people by now. Why don’t you go to the shop to look for something delicious and to talk about travels with the staff and other customers? Tori-no-ichi Festival at Saiko-ji Temple in Toyohashi: A special bamboo rake might bring happiness to you! 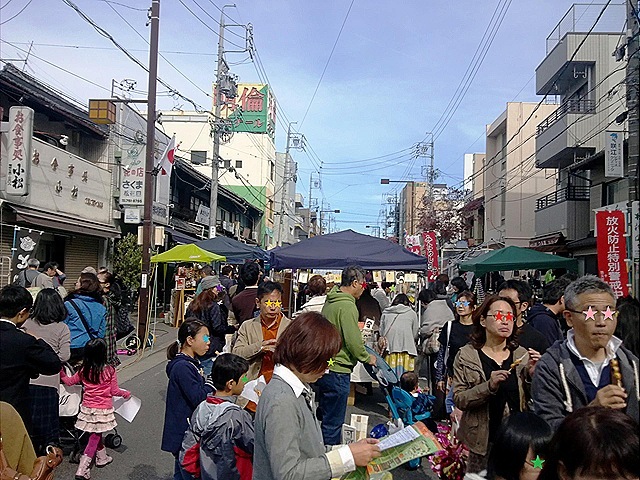 “Tori-no-ichi” is a kind of open-air market held in November on the day of “Tori” in Chinese calendar. 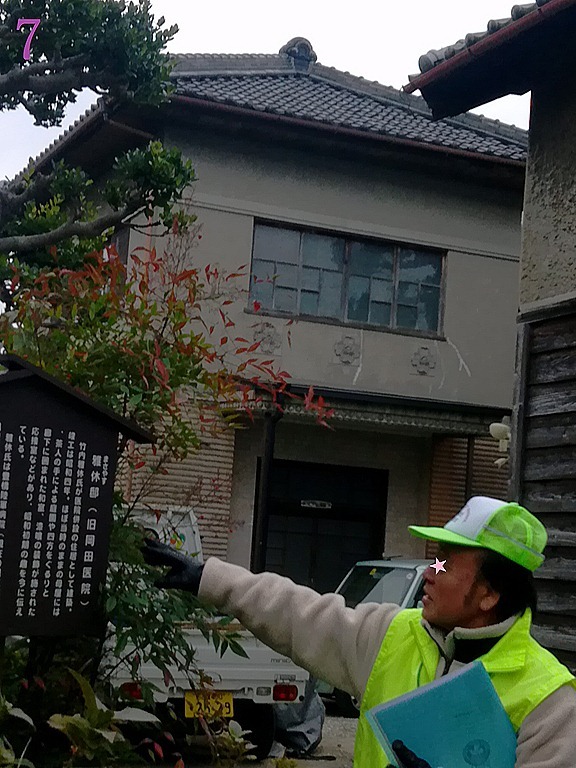 It was originally a harvest festival for peasants, but since around the Edo period it has become a place to pray for a health, fortune and good business, and highly decollated bamboo rakes have also become the essential item. Many people believe the rake brings them happiness and prosperity in business. 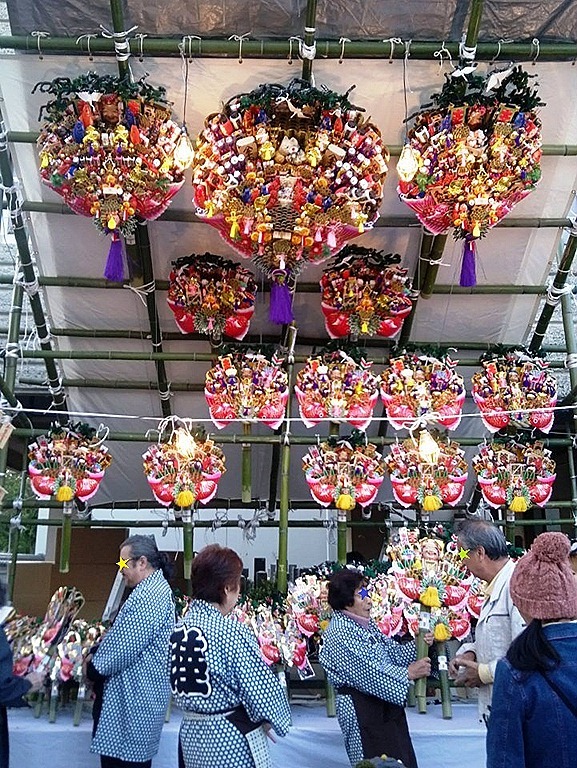 Believers bring their old rakes back to the shrine or the temple where they bought last year and buy new ones for the coming new year. 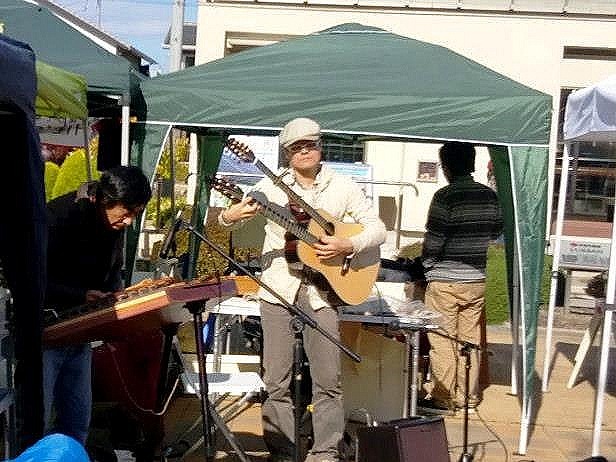 I had an opportunity to join the festival on November 20. 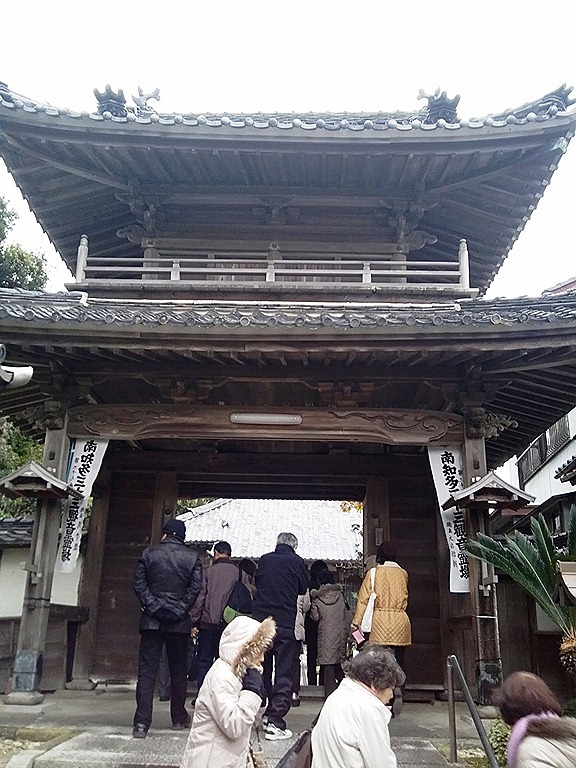 It was held at Saiko-ji Temple in Toyohashi located in the southeast of Nagoya. One of my Tai Chi friends lives in Toyohashi and he invited me to the fair. He also showed me around the temple by the tram. 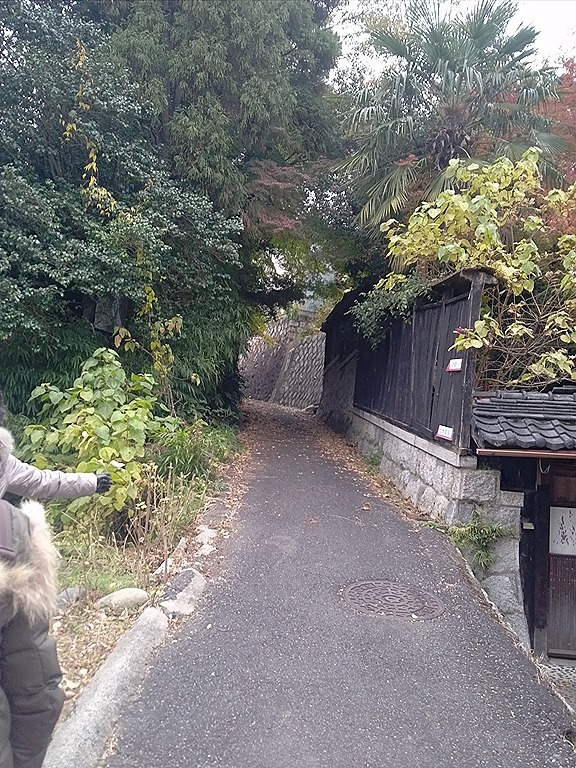 First, we went to Toyohashi Park, which is a ruin of a castle called Yoshida-jo. 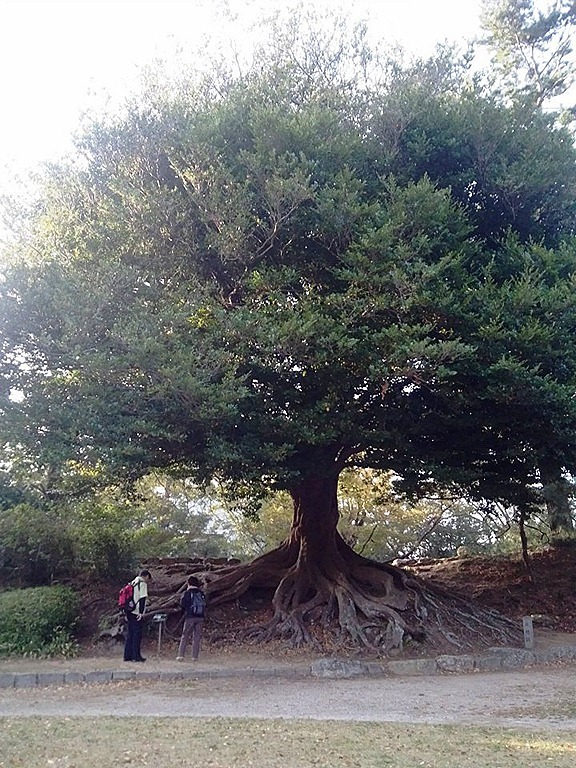 Now there a restored storehouse stands quietly beside a 300-year-old big isunoki tree, or distylium racemosum. 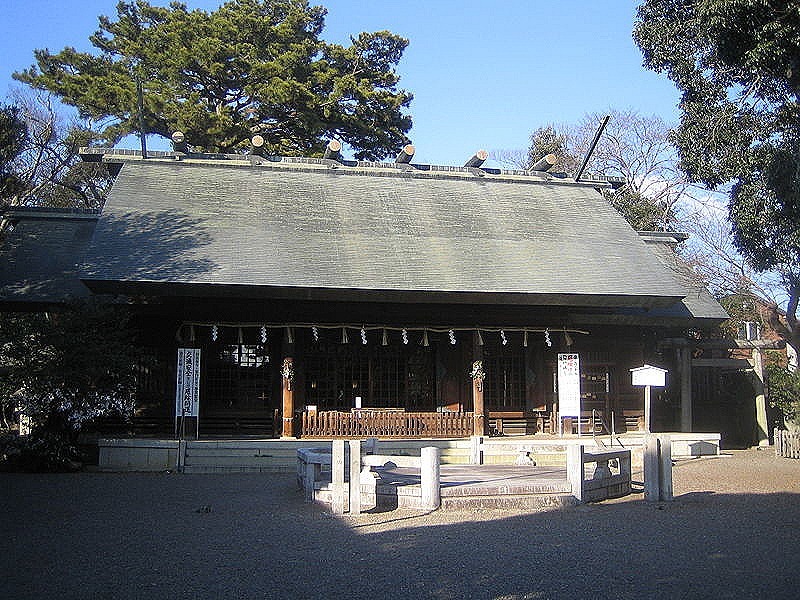 Third, the place we headed for after the church was a Japan’s shrine named Akumi-Kambe-Shinmei-sha. 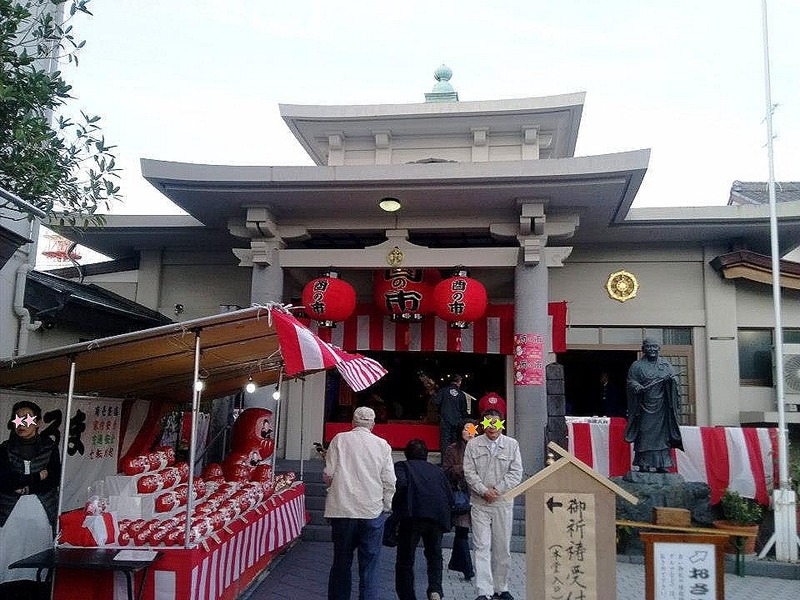 The shrine is famous for a festival called Oni-Matsuri in February. 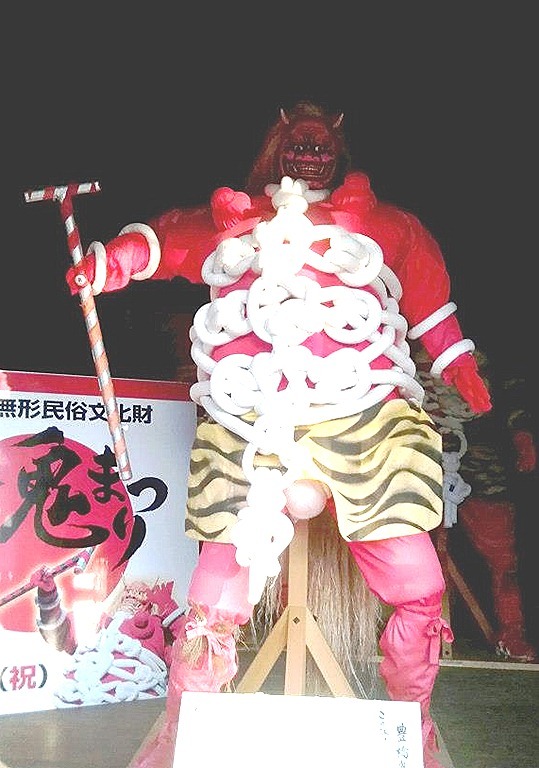 The festival is to pray for the productiveness of grains and its main act is a fighting between an “oni” goblin and a “tengu” god. 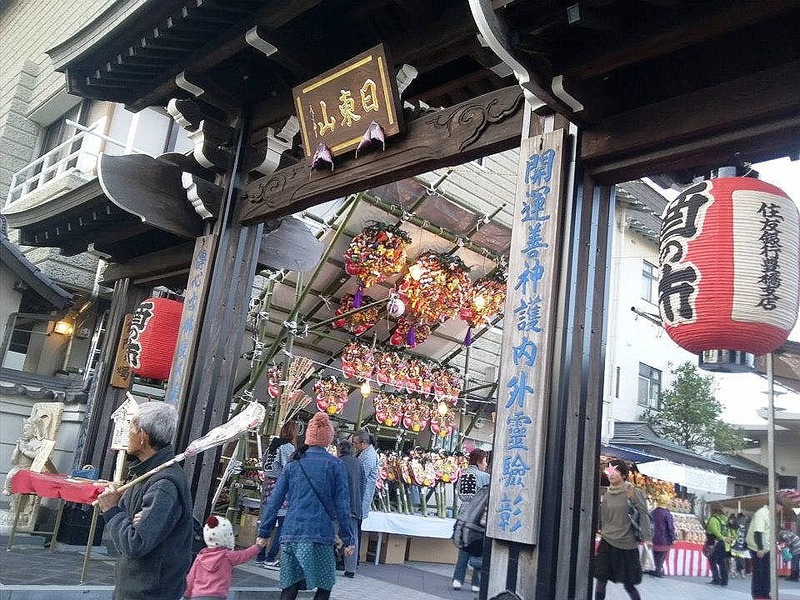 The festival has an about 1000-year-old history. 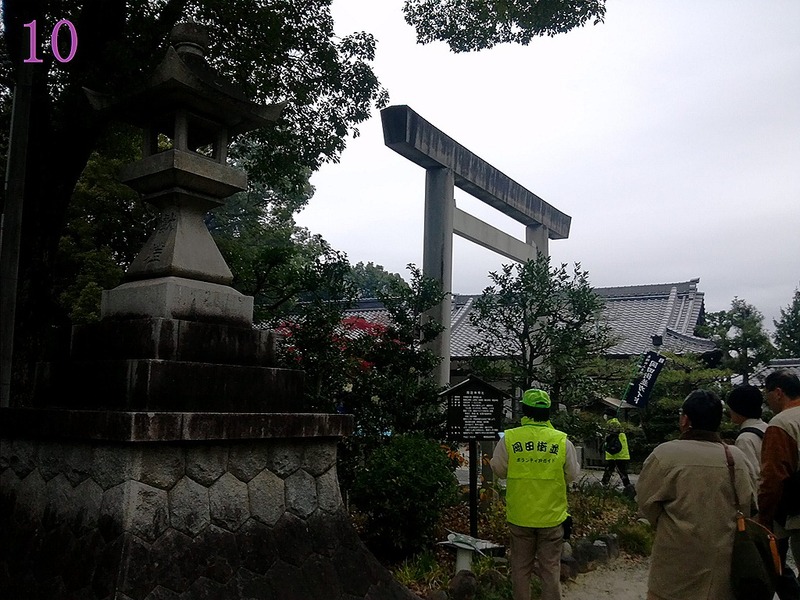 Finally, we arrived at Saiko-ji Temple where “Tori-no-ichi” was being held. There were many stalls before the temple and it was setting the mood for the festival. Near the gate there was a stand selling special bamboo rakes, and many people were buying ones from venders in happi coats. When you buy a rake, the venders clapped with the beat and cheered to you. It is not enough to buy a rake at the festival. You have to bring the rake inside the temple and make it have power from Buddhist priests there. Otherwise, the rake is just an ornament without supernatural power. If you’d like to live in prosperity, why don’t you buy one next year? Anyway, the small trip to Toyohashi was very interesting and filled with new discoveries for me. 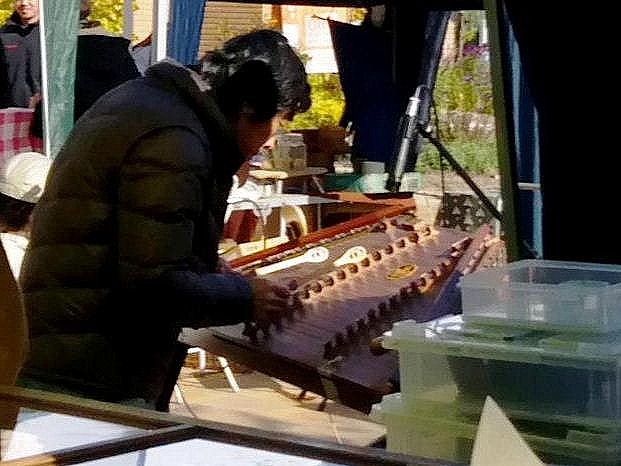 Meets Organic Market in Minato: Could you tell me what their business is and what the musical instrument is? 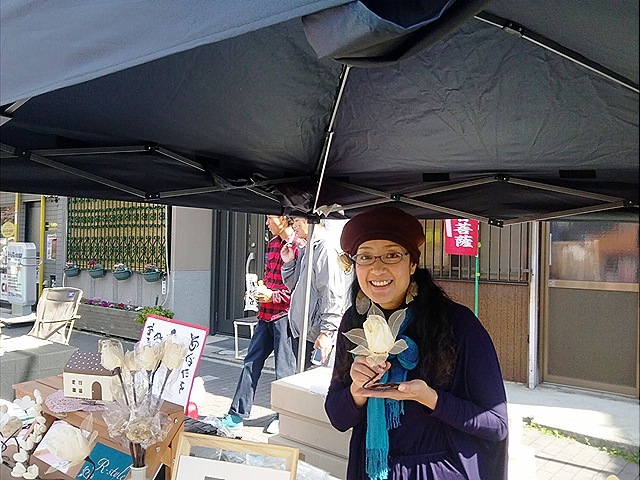 I was in an event called “Meets Organic Market” held at Chukyo TV Housing Center in Minato-ku. Probably people who are interested in organic things do not like petroleum products. I am also interested in organic or/and natural things, but I have many petroleum-derived things such as fleece, nylon, and polyester clothes as well. Suddenly music started while I was sipping the coffee. Two men were playing the strange-looking instruments when I looked at the direction of the sound. One was playing the double-neck guitar and another one was playing the stringed instrument with something mixture of plectrums and sticks. Those musicians’ booth had nothing to sell when I arrived at the event. There was a board with “Sold Out” written on it on their stand. It seems that they were selling bread…but I am not sure…What did they sell? What was that musical instrument? 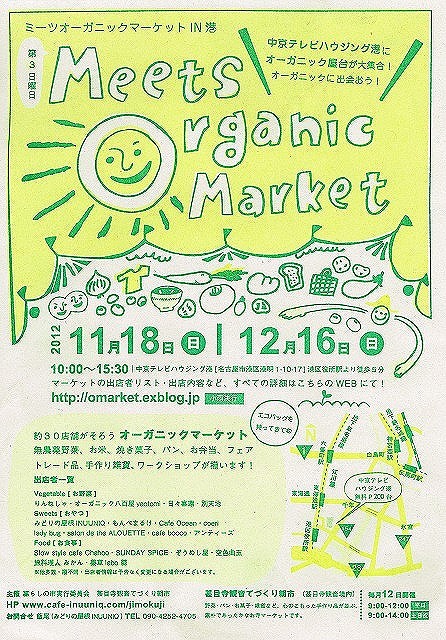 The next organic market is held on December 16 at the same place. Why don’t you go to the event? And could you tell me what their business is and what the musical instrument is? Nagoya Dome Yakimono World 2012: Is that him? 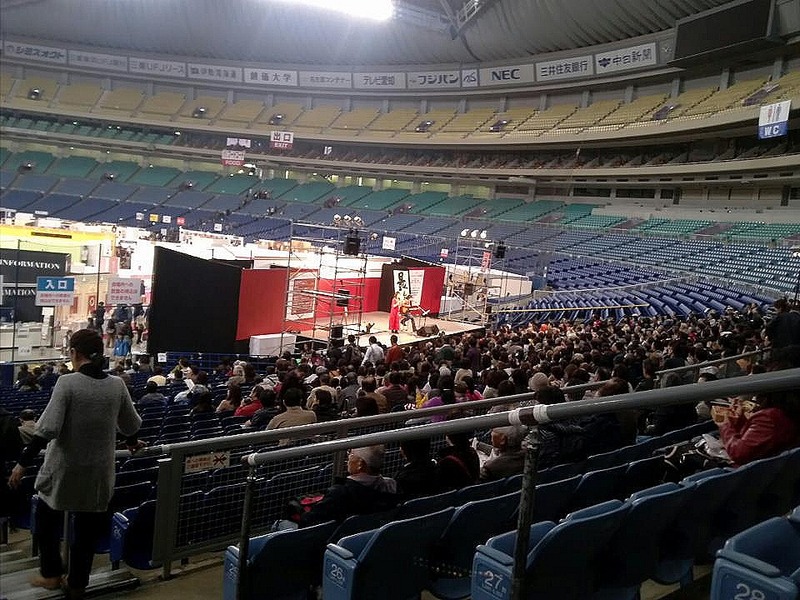 I was in Nagoya Dome, the indoor baseball field in Nagoya, for an event named “Dome Yakimono World” on November 17. Yakimono means ceramic in English. 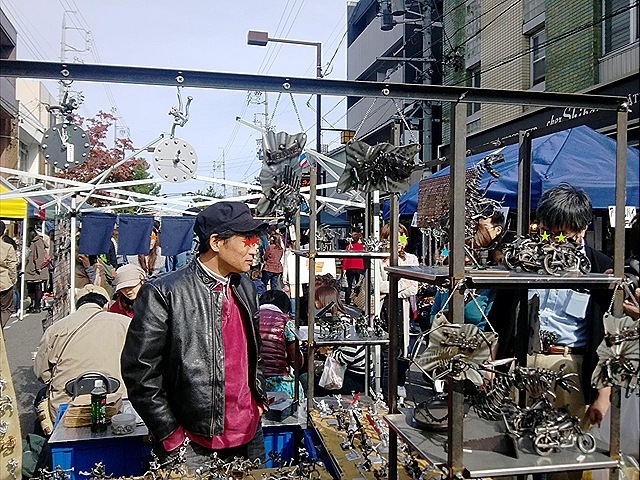 It is an annual event and has more than 300 booths in which not only ceramic wares but also other table wares such as glass and plastic products and Japanese lacquer wares are sold. 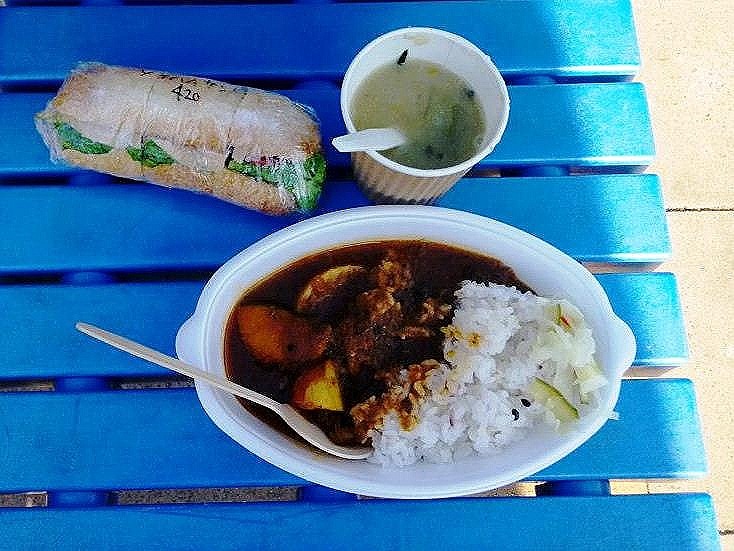 Actually there are some food stalls also in the site. I had not had lunch yet when I arrived at the dome. So, I decided to buy something to eat and drink at the site first. Kiyomi Yano, a radio personality, was talking on the stage when I passed through the stands to go down the field. She said, “Do you want to listen to music? Okay, it’s time for music, then.” While I was buying some food for lunch, a singer began singing. I thought, “He’s a very good singer…” when I was going back to the seats to have lunch. Then I was very surprised at seeing him singing on the stage. “Is that him?” I could not believe my eyes. The singer who was singing on the stage with a guitar was the former vocalist of a rock band called J-Walk (JAYWALK): Koichi Nakamura. Of course, he is a very good singer. And of course, the singer must have been him. He is the radio personality’s husband. Why was I surprised at his performance? Because he vanished from the limelight two years ago. Actually, he was arrested using narcotics in 2010 and got a two-year-jail sentence. He did not need to go to prison because of probation, but he decided to go silent for two years that he deserved to be in jail. His songs after a long interval were excellent. I was very happy to see him singing and to listen to his songs. I felt lucky because I had not expected being able to listen to his voice at the event. It was also nice to see him and his wife look happy. Kiyomi said to his husband after his performance, “Take all those things away! You know, no one does for you anymore!” It was a bit self-deprecating, but was funny. I enjoyed their performance on stage over my lunch. 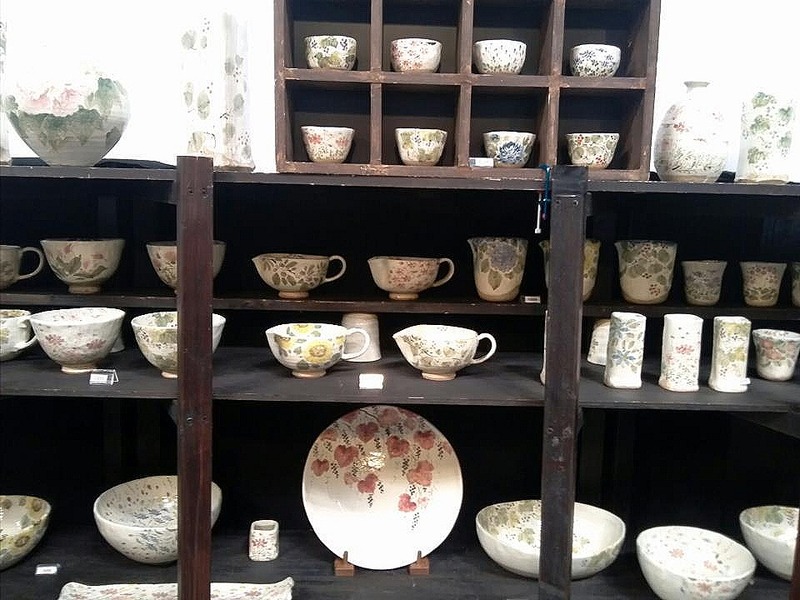 I bought a coffee cup and a saucer in which violets were painted at this booth for my mother. She loves violets. 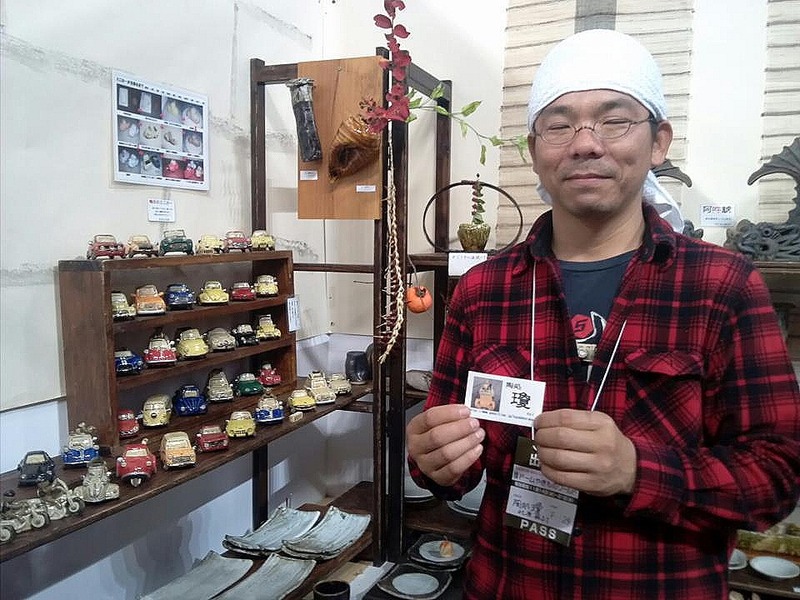 I was able to listen to Koichi Nakamura’s wonderful songs, to see many beautiful and interesting things, to talk to many people, and to buy a nice set of cup and saucer for my mother at the event. I had a great time! 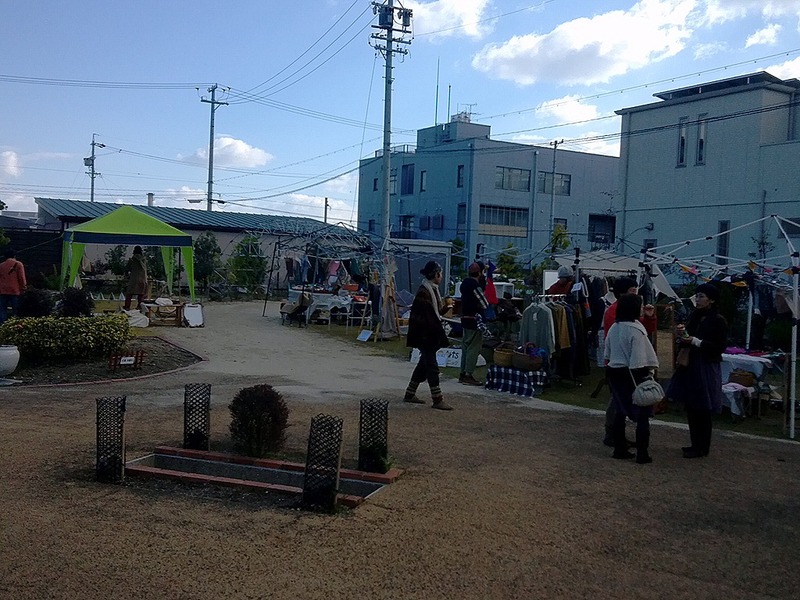 Kakuohzan Fall Festival 2012: Why don’t you explore in the eclectic mix world of the old and the new ? 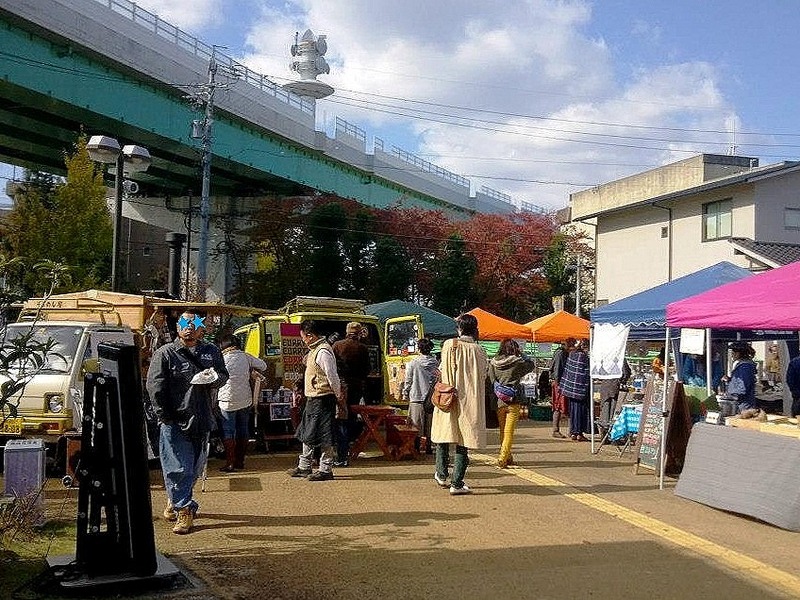 Do you know there is an interesting place named Kakuohzan, which has eclectic mix of old and new things, in Nagoya? 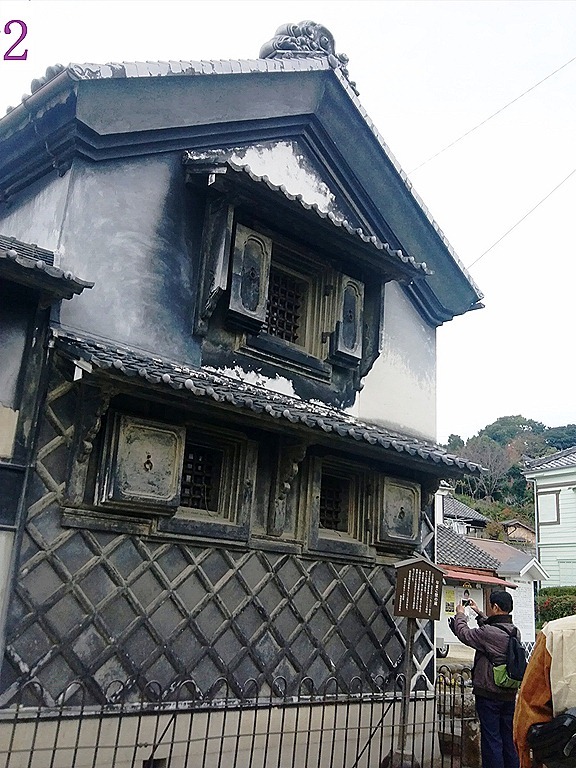 There is a temple called Nittaiji enshrining real Buddha’s ash in the area. 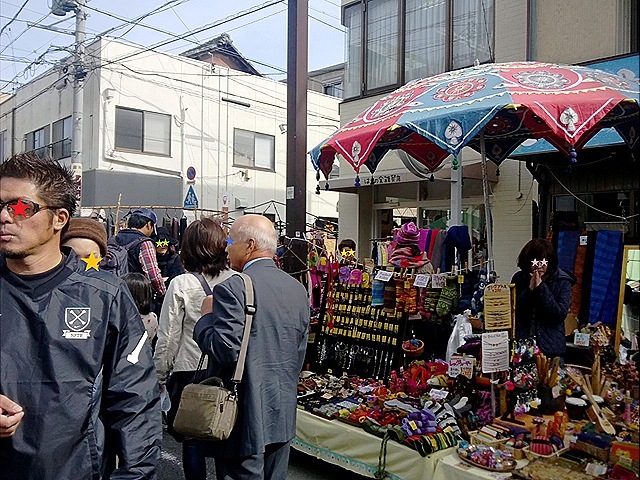 Nittaiji Temple gathers many believers, especially senior citizens, and therefore there are old-fashioned shops such as a Japanese sandal shop and a rice cracker shop in the approach. But nowadays many of those old shops are closed because of aging of keepers and their buildings. However, those closed shops have not remained in being closed for a long time. Most of the old shops have been reborn as cafés, restaurants, bakeries, import goods shops, a convenience store, a cheese shops, a tea house, accessory shops, pottery shops…etc. So many young people also come to Kakuohzan. But the young generations in the area do not just wait for customers. They organize some events to attract people as well. 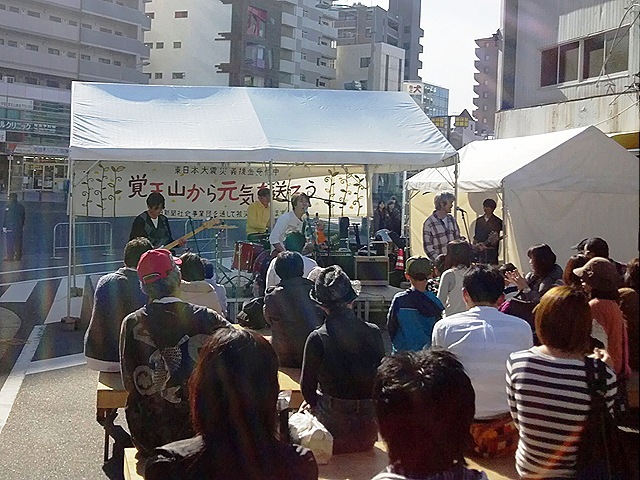 One of their events is Kakuohzan Fall Festival. 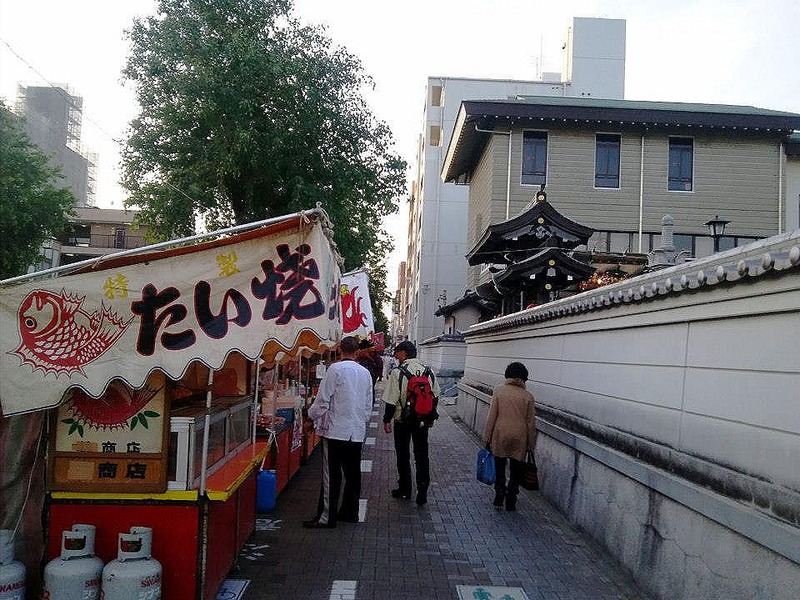 In Japan’s usually festivals, there are just food stalls and game booths. 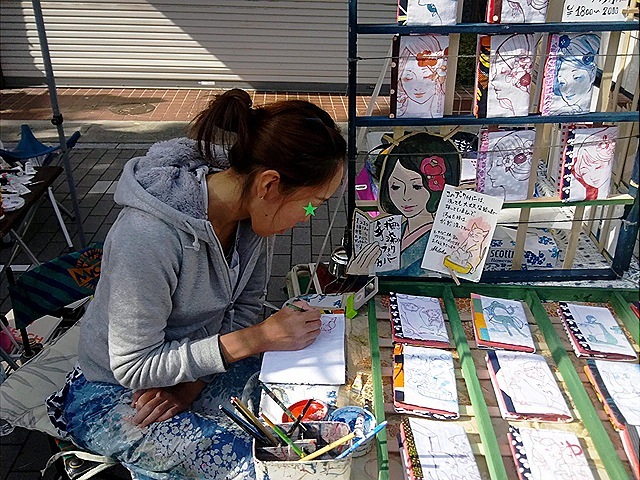 But in Kakuohzan many art creators and crafters also have stands. 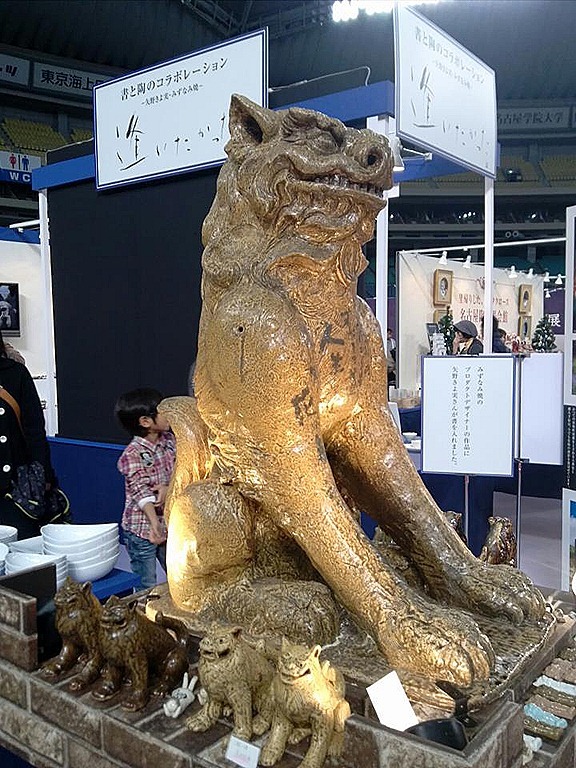 The festival has an aspect of a creators’ exhibition. Paintings, photos, potteries, glass arts, steel works, woodworks…etc. Looking those things around is, of course, interesting, but talking to the creators about their works is more interesting. I had a wonderful time on a warm autumn day. Why don’t you explore in the eclectic mix world of the old and the new?